As our pets begin to age, we take it upon ourselves to provide them with the best care possible. The senior years for our pets should be their golden years too. Pets should enjoy their age with good health, good love, and cherished moments with their owners. Veterinary medicine is an expansive and growing medical industry, one which now has a plethora of different approaches that pet owners can choose from. When choosing veterinary care for one’s senior pets, it’s important to get informed and educated on the various techniques and medicines that are available. Senior pets typically need more care than younger pets do, and any pet owner will want the best, safest, and most pain-free care for their aging, four-legged friends. As pets age, you can bet that most veterinarians will offer a bevy of pharmaceutical drugs for them, from pain medicine to antihistamines, antidepressants to mood drugs, anti-inflammatories to digestive aids, and so on. The pharmaceutical companies that make drugs for pets have morphed into multi-billion dollar industries just since the turn of the century, and that’s not necessarily a good thing. Pet owners need alternative solutions in improving their senior pets’ health and overall quality of living. 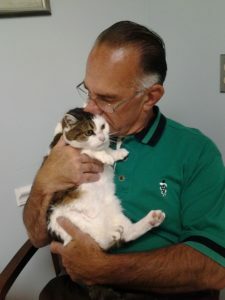 Conscientious pet owners should have holistic alternatives available to them, natural practices in veterinary medicine that afford health, comfort, and happiness to their pets without doping their pets up on powerful pharmaceuticals that are rich in side-effects and questionable in effectiveness. Pet owners need something better. Enter in veterinary acupuncture for senior pets, an Eastern healing method that has been in use for thousands of years. Veterinary acupuncture approaches the health and function of a pet’s body as a complex but full system, as opposed to isolating certain areas of the body and only working on those. Veterinary acupuncture addresses the entire package in order to improve health across all spectrums of the pet’s body, emotional state, and mental condition. The prime benefit offered by veterinary acupuncture is that the entire health condition of the pet is addressed and improved on thanks to acupuncture treatments. As our pets approach their senior years, practicing preventative medicine and holistic, alternative treatments become more important. Senior pets don’t have quite the resilience to bounce back from invasive procedures, anesthetics, potent pharmaceutical drugs, surgeries, stiff orders of antibiotics, and some heavy-dose vaccinations. Recovery periods begin to last longer, and the risks for complications from such procedures only grows as pets age. This makes most senior pet owners more than a little leery of pursuing standard veterinary approaches to their aging pets’ health. Herbal Therapy. This approach seeks to utilize herbs, supplements, and pet vitamins to balance out and resolve any deficiencies a pet might have in their diet. If a pet has a medical condition in their internal function, it could be resolved with something as simple as herbs, vitamins, minerals, or other supplements. Food Therapy and proper diet. Every pet’s digestive system is a little different, and certain pets might have an adverse reaction to certain foods. For example, organic pet foods and grain-free pet foods are becoming popular as they are easier for some pets to digest. Massage Therapy. For pets who struggle with arthritis or pain, massage therapy can reduce pain, stimulate blood flow, and relax aching joints. Massage therapy smooths out function in a pet’s body, allowing for the muscles and joints to align. Other bodily functions will likely operate better as a result. Regular Exercise. It’s no mystery that pets should get regular exercise, as exercise is one of the best forms of preventive care for pets. When pets are moving about on a regular basis, it keeps their bodily functions and systems operating well. Even senior pets should receive daily exercise that is within their abilities to perform without sustaining injury. Senior pets have different demands and needs for their health than younger pets do. It’s important to recognize that and to be wary of the more invasive and potentially risky pharmaceutical or surgery-based practices that might cause more harm than they do good. Thankfully, we can all rest easy knowing that there are plenty of ways to guarantee good health and a great quality of life for our senior pets.